Teaching the Teachers. Educating the Educators. 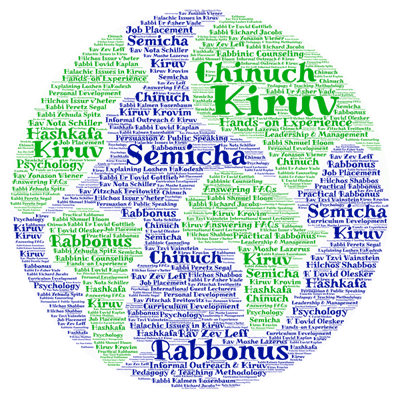 Founded in the late 1980s, and accredited by the Israel Ministry of Education, Ohr Lagolah (Ohr Somayach's two-year rabbinic, outreach and teacher training program) is the world's longest running program of its kind. To translate Judaism into the language of the 21st century, educators today need more than knowledge. They need skills. And they need training. Since the program started over 30 years ago, hundreds of Ohr Lagolah graduates have found meaningful positions as rabbonim, mechanchim, campus rabbis and in community kollelim, inspiring thousands of young Jews to investigate, connect to and grow in their Judaism. You too, can make an impact on Klal Yisrael. Spend the next two years preparing yourself, learning how to translate Judaism into the language of the 21st century.